Its a bit different when youre using different carriers. If I was to make one of the existing phone lines a DSL line as well, then nobody would have had to mess with that box. But because the voice lines are from AT&T I think they had to run a new line into the building, but Im not sure. Can anybody confirm that the black 4 conductor cable is for the DSL line? Could the DSL be coming thru existing wiring on an unused pair? If the 2nd position has the dry DSL then it appears the Bl/W of the 2pr ASW has the DSL on it. The DSL will be coming through on whatever pair the bridge is connected to. and clean er up a bit. i dont want anyone in the back row hearing a peep. You can't fool me sir. 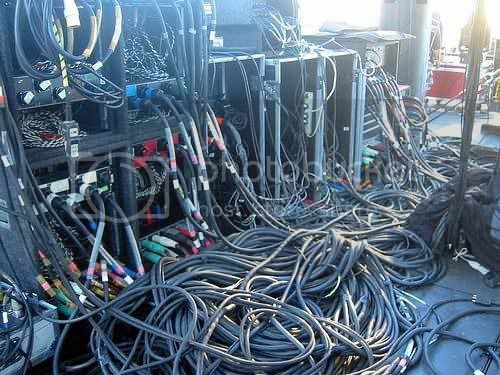 I recognize the seemingly tangled but nicely ordered mess which is generally the work of a road-crew. can somebody help me here? ?